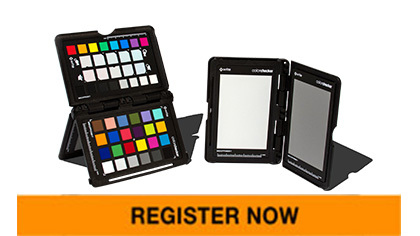 With your new NEW ColorChecker from X-Rite, you can expect expert results at capture with ideal color balance, enhanced highlights and shadows and perfect exposure. Receive additional 6 month warranty when you register your ColorChecker product within 30 days of purchase! We don’t expect anything to go wrong. And we have an exceptional track record of product quality. On the other hand, peace of mind goes a long way. We want every part of your experience with us to be perfect. 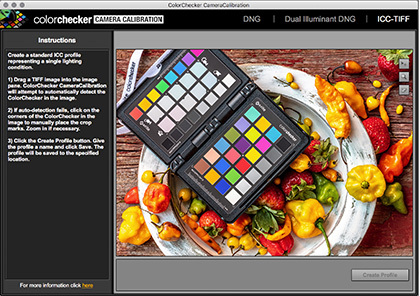 ColorChecker targets come with free software for producing custom camera profiles for both DNG and ICC workflows. Supported targets include: ColorChecker Passport Photo (original and v2), all sizes of ColorChecker Classic, and Digital ColorChecker SG. Remember your custom profile is only as good as the target you’re using. If your ColorChecker Passport Photo or ColorChecker Classic is two years or older, it might be time for a new one!